The scientific community can’t ignore celebrity culture. 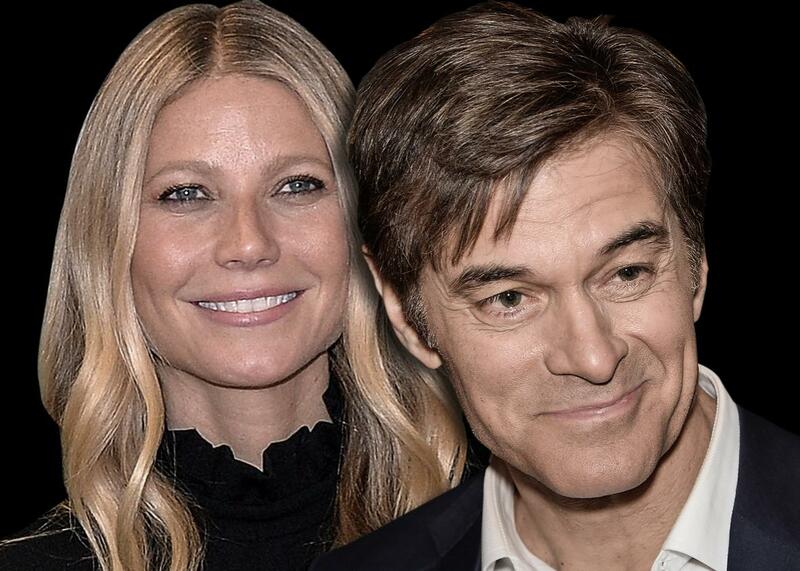 Gwyneth Paltrow and Dr. Mehmet Oz. Photo illustration by Slate. Photos by Slaven Vlasic/Getty Images, Andrew Toth/Getty Images. A version of this piece originally appeared in Issues in Science and Technology. Oz and Tyson are emblematic of the larger role now played by celebrities in public discussions of science and science policy. We have written books that examine this development. Is Gwyneth Paltrow Wrong About Everything? When Celebrity Culture and Science Clash looks at how celebrities from outside science—such as Paltrow, Jenny McCarthy, Jessica Alba, and Vani Hari, the self-styled Food Babe—make science-based claims and provide advice, much of which has little evidence to back it up. The New Celebrity Scientists examines a set of prominent scientists, including Tyson, to show how they have become famous and use their celebrity to spread scientific ideas through society. Based on our research, we argue that the influence wielded by such celebrities is unlikely to recede. Rather than dismissing the star power, scientists should view celebrity culture as an opportunity to engage citizens. Researchers in science communication have long known that once people leave formal education, their primary source for information about science becomes the media, with audiences now seeking out information from search engines and social media. Traditional and new media celebrity culture has become increasingly influential, as a seemingly endless stream of nonscientist celebrities endorses products, lifestyles, and ideas about subjects like genetically modified organisms and vaccines. They have a significant influence on a range of health behaviors, including cosmetic surgery, cancer screening, tanning, smoking—even suicide rates. And studies indicate that celebrities have helped promote unproven therapies and products, such as the provision of questionable stem-cell treatments. Exploring the role and impact of celebrities on the public engagement with science and science policy, therefore, is not a frivolous endeavor. Celebrity statements about science can mislead or harm. But many incidences do not have clear-cut outcomes, producing instead cultural effects that are complex, contradictory, and contentious. Yet all of these examples of celebrity science create opportunities for the scientific community to engage with citizens. There are innumerable examples of celebrity culture having a clearly harmful impact on popular views of science, particularly in the realm of health. This can be seen most sharply in the anti-vaccination movement: Vaccination rates in many developed countries have been falling. Although there are diverse reasons for this decline, Seth Mnookin argued in The Panic Virus that the circulation of scientifically inaccurate information, facilitated by celebrities such as Jenny McCarthy and her former partner Jim Carrey, has played a significant role in this clearly harmful social trend. In cases including the perceived value of gluten-free diets and high-dose vitamins, and the risks of GMOs, celebrities with scientifically unsupported views have played a prominent role in clouding public debates and fostering health practices that are not supported by the available evidence. Yet celebrities have also had beneficial effects on public discourse about science and health. One example is Earvin “Magic” Johnson’s 1991 revelation that he was HIV-positive. Adult men surveyed after the announcement, according to one study, were more concerned about an acquaintance getting HIV, were interested in getting more information about HIV and AIDS, and were more likely to discuss HIV and AIDS with friends. But the wider public response was varied and not always clear-cut. Adolescents, by contrast, had a mixed response to Johnson’s announcement. A study found that a majority of adolescents said Johnson’s announcement increased their awareness of the condition, but fewer than half said the revelation had changed their perception about their own risk of contracting HIV. Celebrities who advocate on environmental issues also have impact. When he collected his 2016 Oscar for Best Actor, Leonardo DiCaprio used his acceptance speech to describe climate change as “the most urgent threat facing our entire species.” These interventions have impact. According to one study of celebrities and climate change news, stars like DiCaprio serve as a hook for journalists, allowing mass-market publications such as People, Variety, and Cosmopolitan to take environmental issues to a wider audience. Even when celebrities engage in public discussions that are thoughtful, relatively informed, and done with the best of intentions, the social impact can be complex, multifactorial, and less than ideal. Actress Angelina Jolie’s public decisions to get genetic testing and preventative surgery for breast cancer have, in general, been viewed in a positive light, but their actual impact on public health, cancer prevention, and knowledge appears to be mixed. One study, for example, found the “Jolie effect” did increase awareness and information-seeking about cancer, but another found that her announcement was “not associated with improved understanding.” Some public health scholars addressing this complex response suggested that celebrities should refrain from involvement in complex topics and limit their health advice and advocacy to clear and relatively uncontroversial topics, such as advising citizens not to smoke or not to drive while intoxicated. Scientists have also adapted to celebrity culture to make themselves and their ideas part of public discussion. Tyson, for example, has been a career-long advocate for scientific literacy. He has also used his media profile to advocate for his particular scientific interests, such as an increase in funding for NASA. He made the case for space in congressional testimony, in his book Space Chronicles, in a long feature in Foreign Affairs, in media interviews, and on Late Night With Jimmy Fallon. Tyson, who sat on NASA’s advisory board, used his fame to engage citizens on the social, political, and economic value of space exploration. As these examples demonstrate, celebrities and celebrity culture have an influential role in shaping how citizens and policymakers encounter and make sense of complicated, often health-related science. Scientific institutions, therefore, should not dismiss celebrity or mourn its claimed harmful effects on scientific understanding. The scientific enterprise should instead view occasions where celebrity and science meet as opportunities to engage audiences in a deep way about science and scientific thinking. There are several ways to do this. First, the scientific community needs to speak out when a celebrity issues an inaccurate or misleading pronouncement on scientific issues. But decades of research have shown that communicating facts on their own has little impact on audience understanding. Science communication researchers know that to have a meaningful impact, communication must also address an audience’s values, ideologies, and motivations. Scientists should not see their work as just fact-checking; they should view each piece of communication as an opportunity to engage in a discussion of the issues with the long-term goal of building trust with citizens. Second, the scientific community should invest in scientists who can become trusted public voices. In 2008, Discover magazine named Tyson as one of its 10 most influential people in science. That didn’t happen by accident. His reputation was forged over decades, and the scientific community invested in his success. For example, the National Science Foundation awarded him more than $1 million to develop the StarTalk radio show that became the basis for his National Geographic TV show. Third, we need to be clear about how uncertainties, cognitive biases, and self-interest can fuzz the boundaries between science and politics. Social science research on scientific controversies, such as those surrounding GMOs or vaccines, shows that people’s reasons for their beliefs may have less to do with not understanding science than with cultural or political factors. Celebrities and scientists alike who link scientific facts to prescribed ways of acting may thus often themselves be using, consciously or unconsciously, the mantle of science to advance agendas with subjective elements. In addition, celebrities can play a powerful role in framing what a particular position on a scientific issue—such as GMOs or climate change—signals to the world. Being for or against GMO labeling, for example, becomes part of your personal brand and helps define the type of individual you are. This is one reason the same individual can reject the scientific consensus around GMOs and accept it on climate change. Finally, we need to continue to research the nature and impact of celebrity in public engagement with science. Celebrity culture isn’t going away: Indeed, social media will likely intensify its sway and ubiquity. The rise in celebrity culture will doubtless create multiple and regular opportunities for scientists and clinicians to spread evidence-based and credible scientific ideas as part of an ongoing public discussion of science—if the scientific community is prepared and willing to engage.